A few weeks ago I marathoned through both Illuminae and Gemina, and I absotelty adored them. The Illuminae Files is such an unique series and I enjoyed all of the different types of documents that were compiled to tell the story. I actually listened to the audiobook while also reading the physical copy of the book because the audiobooks are so well done and really add another layer to the story. I’m currently waiting for my hold for the Obsidio audiobook to become available from the library, so I thought now would be the perfect time to feature an aesthetic of Illuminae! 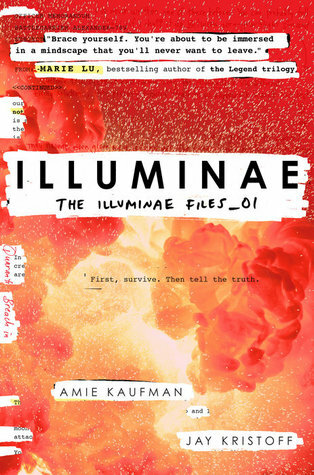 Have you read the Illuminae Files? Which book in the series is your favorite? I love this aesthetic! It perfectly sums up Illuminae! Also, I agree that the audiobooks provide a great extra element for the book. Thanks! I love the audiobooks so much!